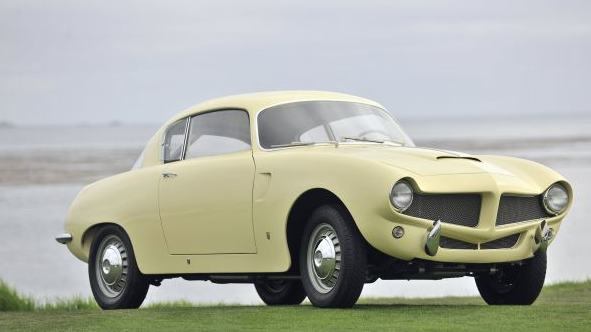 1954 FIAT Stanguellini Bertone Berlinetta *071366*. This car is for sale now through Fantasy Junction, but is doing residence at the Petersen Automobile Museum in southern California -worth a visit even if this wasn’t there. If the Sprint and SS have an extended family, this car would be considered an older second cousin, perhaps a first cousin even, and definitely a near sibling of the Sprint and BAT cars. The list of cars Franco Scaglione had a hand in creating is impressive, and includes many of Alfa’s most coveted one-offs, listed one after another (1900L, Sportiva, BAT 5,7,9 etc) and many others like this little guy. Truly art in automotive form. This is a car that demands a place in your house -not your garage. For $295,000 you’ll be in an exclusive club. This is a beautiful car from some angles and a challenging car from others -but then a lot of Scaglione’s creations are. You have to look at it for a few moments, then remember that this is a hand made car. Panels were hand formed, gas welded together and married to some seed of a FIAT 1100 chassis. Color is great -not a color one would typically associate with Italian sports cars, but common in the palette of early 1950’s Italy. You know I have a soft spot for the NSU Sport Prinz -and you should- too since they were one of the few other Scaglione designs to come out of the BAT exercise, with the first few hundred being built by Bertone. This one is a bit frightening, but not too far gone me thinks. More importantly, check out the yard it’s in. Comprehensive bumper! This is a short car -even for it’s day. Who’s hiding in the back ground? 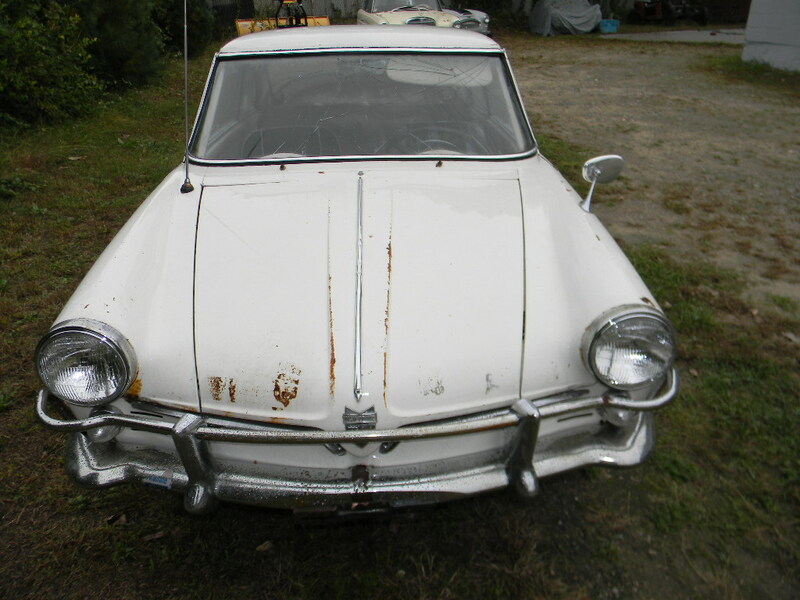 Update 3/6/12: This car sold for $23,585 after 36 bids. Probably a sightly disappointing outcome for the seller, but if they needed to sell it, it’s sold. 2600 Sprint Coupe 10602*825680, 00601*07668. 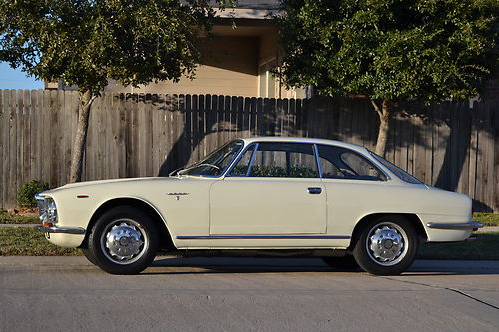 I’ve been mulling it over, and have decided to add the odd non-Giulietta to the Market when I see something that interests me, like 2000/2600’s, Montreal’s, Junior Z’s, 1900’s and the like. 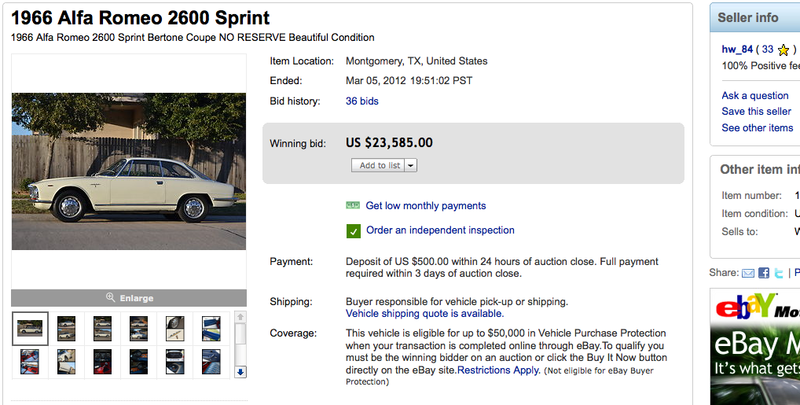 This 2600 Sprint is on eBay right now out of Texas. Condition is superb (to my eyes), pretty much where I’d end up if I took the restored with acceptable patina route as far as possible. I had a 2600 Sprint for a while -commuted in it for a few months 135 miles each way, was a great ride, and I’ve regretted selling it (along with about 20 other Alfa’s). Owner would like to see close to $40,000. I think they will be disappointed, but not too badly. The pictures are good, but WAY too small. Jose -if you want $40K for a car -spring for some decent pictures please! The 2600 Sprint is a good looking car. I think when you look at usability and comparables (Maserati’s mostly), you find these to be under-priced and very reliable. Sure,they made a lot, but they have been complex their whole lives and good examples are few and far between. I paid a pittance for mine and drove it home (on 4). This car looks to have been someones pride and joy. Very very clean and well presented. Update 6/27/08. Seller decided to keep the car. Bravo! Unfortunately he couldn’t actually end the auction in time due to the need to cancel bids and there is a time window that it all has to be done in. Should be interesting for him to dig out of. Sale price was $5100 after a few cancelled bids, who knows where it would have gone if the auction had played out. NSU type 41 Sport Prinz Nr. 4109649. This car is available right now on eBay out of Sacramento. I know what you are thinking, why am I writing about a German mid-sized microcar? Turns out this little car is a second cousin of the Giulietta Sprint and first cousin of the Sprint Speciale. It also turns out I’ve owned an NSU Prinz I and have owned a group of NSU motorcycles, mopeds and scooters. Last, turns out I was on the California Melee the year this car was dragged against its will to Red Bluff resulting in the destruction of its original low-mileage engine. Handsome little guy whose sporting look would probably be improved by removing part or all of the extensive front bumper, though it may upset the steering geometry to lose all that weight up there. Bumper is reminiscent of an SS front bumper. I’d be surprised if the paint color wasn’t the very same red as my 59 Sprint.